After trying my hand at painting humans to mixed results I decided to practice on Ape X. 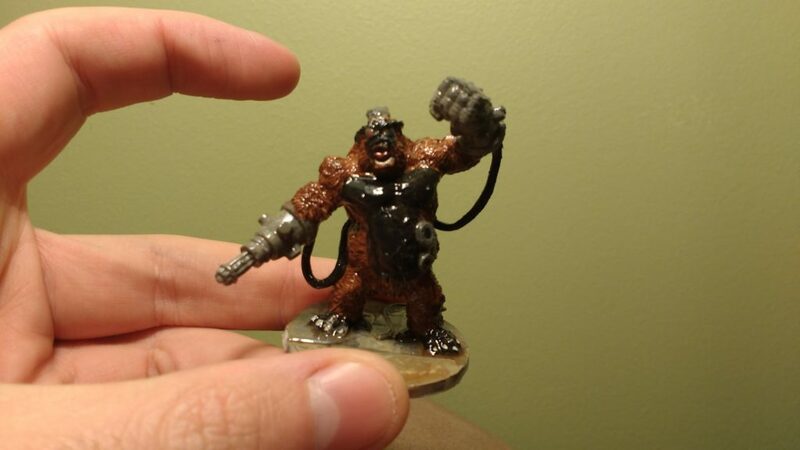 This is large sized cyborg gorilla miniature from the original Bones Kickstarter that got worse than it deserved from me. I think that the finished job is functional but it’s a bit of a waste of a fun sculpt. I put some effort into layering the fur which I think turned out okay. But I really mangled the belly and face, then tried to recover by painting it in black which killed the details. 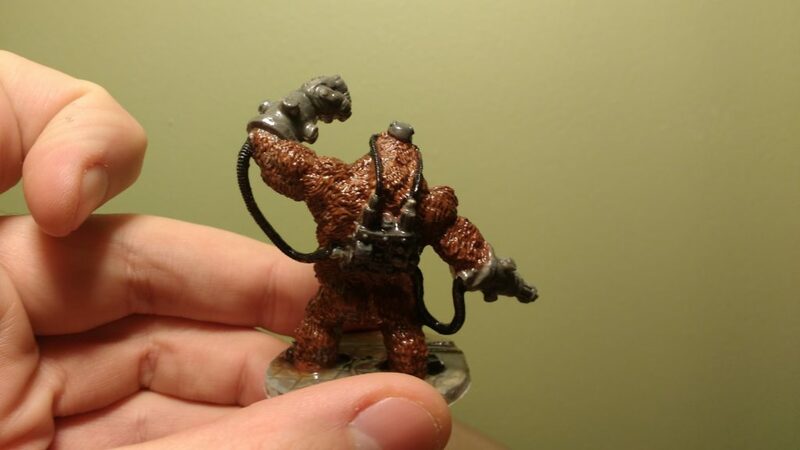 One day I plan to go over these miniatures with a matte finish to take off the shine. Thanks, I’m going to give it a try. I like the protection of polyurethane but it’s way too shiny. Plus, more protection is a good thing. Does spray on varnish follow the same guidelines as spray on primer? Not much I can do about the frigid weather, unfortunately.